In the mid-1930s, The Kaufmann’s (of Kaufmann’s Department Store) sought out Frank Lloyd Wright to design their vacation home in the mountains of Southwestern Pennsylvania. 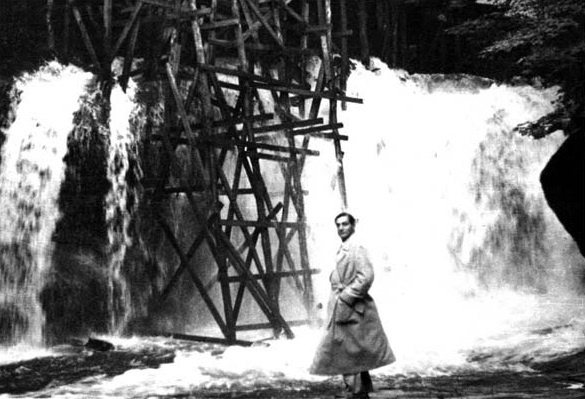 Wright was well-known not only for his innovative architectural designs, but also for his seamless integration of buildings and nature, a philosophy he called “organic architecture.” Wright’s design would see that the home be build the home over 30’ waterfall. 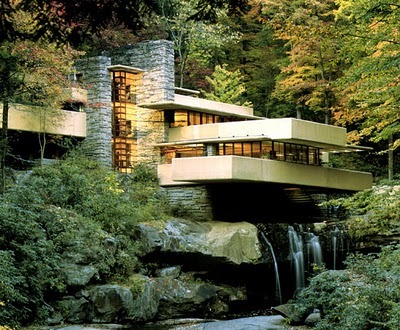 Today, the home—known simply as “Fallingwater”—is hailed as a modern architectural masterpiece. It has been seen by more than 4.5 million people since its opening to the public in 1964.